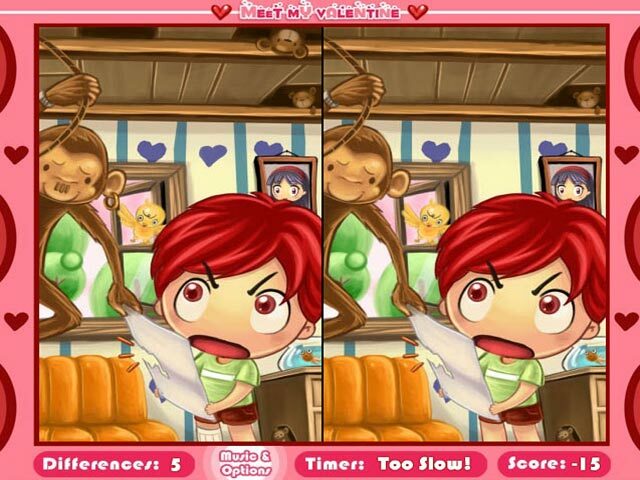 Find the differences in this hilarious love story! 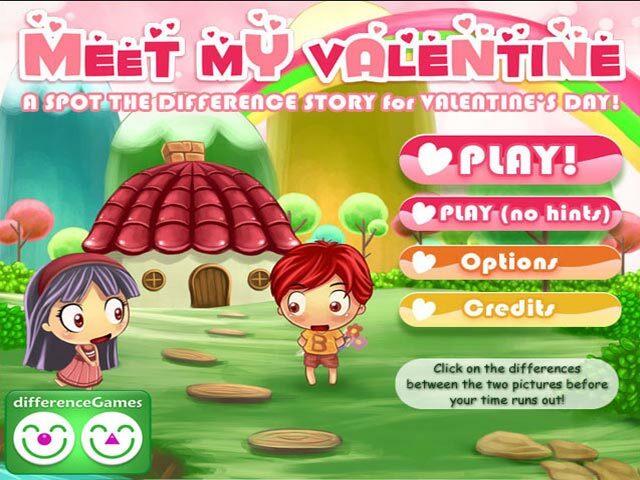 Pass each level quickly to get the best possible ending!Find the differences in this love story!Find the differences in this hilarious love story! Pass each level quickly to get the best possible ending! 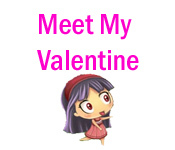 Look closely in Meet My Valentine to find all the differences. 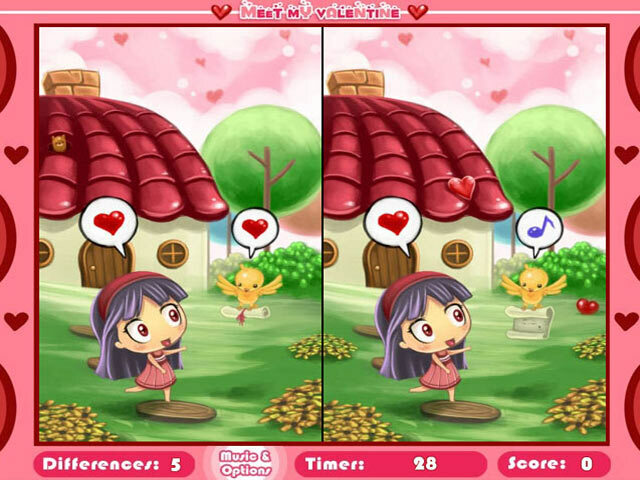 Each time you play there’ll be new differences, so play as many times as you’d like!